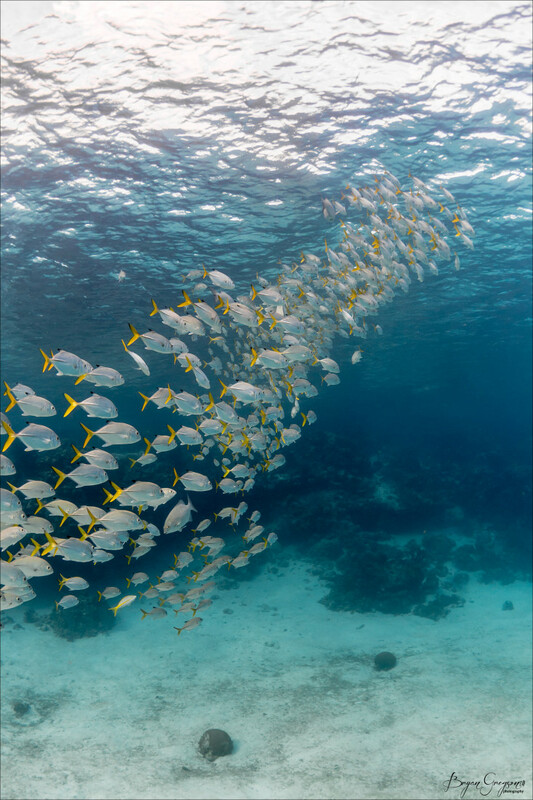 This image was taken in the Hol Chan marine reserve off the coast of Belize. Hol Chan is Mayan for “little Channel”. The reserve is home to over 160 species of fish, along with nearly 40 species of corals, 5 sponges, 8 algae, 2 sea grasses, 3 marine mammals and 3 species of endangered sea turtles… and giant schools of fish! After a long tough battle, the reserve was established in July 1987 and enforcement of the regulations began in 1989.